The Lions booked a place in their first ever Super Rugby final by beating the Highlanders 42-30 at Ellis Park in Johannesburg. The Lions will travel to Wellington New Zealand where they will play the Hurricanes at Westpac Stadium on Saturday. 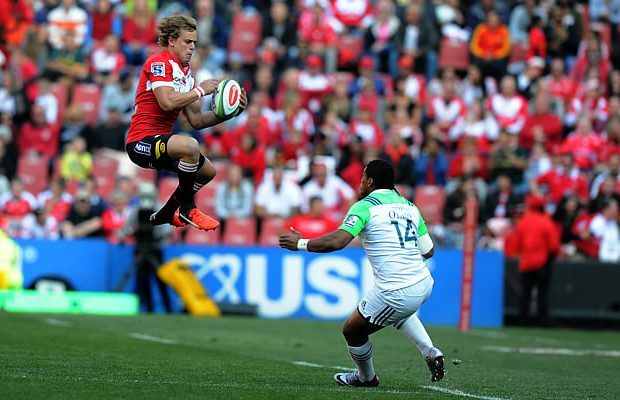 The Lions outscored the Highlanders by five tries to four in the match and the loss end the Highlanders Super Rugby title defence. The Super Rugby final will feature the two teams who finished as first and second placed teams which demonstrates how important home advantage is. 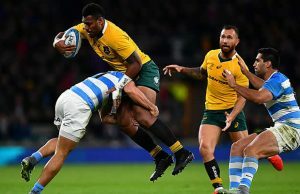 The Lions will no doubt now regret not earning a bonus point in Argentina when they took a second string team as a single point would have meant that the Lions would be hosting the final and they would have had home advantage. The Lions reaching the final is a remarkable turnaround as they were relegated from Super Rugby in 2012 as a result of finishing last of the South African teams which meant they missed the 2013 season. The Super Rugby final will be the Lions first in the professional era as their last “Super” final was in 1995 when they played as the “Golden Lions” and lost to a Queensland side. Two years earlier the Golden Lions beat an Auckland side 20-17 in the final at Ellis Park. It was a well-taken win by the Lions who produced several telling moments which proved decisive at various stages of the match. In the end, they wore down the much-vaunted Highlanders’ defence which had been the team’s biggest asset this season. The Highlanders looked the more forceful in early play and enjoyed several plays where they managed to cross the gain line. Their captain, fullback Ben Smith, led the charge with a clean break in the second minute but the promising move broke down in the Lions’ 22m. Lions leftwing Courtnal Skosan staged a telling counter-attack from inside his own half and then soon afterwards the home side produced a huge scrum in the eighth minute. It was just the cue for the Lions to impose themselves on the match in spectacular fashion with a wave of spirited attacks that lead to two tries after 24 minutes’ play. Lions pivot Elton Jantjies was first to cross the whitewash close to the posts in the 11th minute and then the bustling midfielder Rohan Janse van Rensburg rounded off splendidly 13 minutes later for the side’s second try. Jantjies converted both tries and in between these two touchdowns, he was on target with a penalty for the Lions’ eventual 17-point first-half haul. Highlanders flyhalf Lima Sopoaga opened the scoring for the New Zealand visitors in the 18th minute and also missed another two penalties in the opening 30 minutes. Straight after the Lions’ try the Highlanders threatened an immediate response after rightwing Waisake Naholo sparked a penetrative move down the right touchline where he combined wonderfully centre Malakai Fekitoa. The Lions battled hard to contain the threat out wide and just when the Highlanders managed to breach the defence near the corner flag flanker Elliot Dixon could not hold on to the scoring pass with the tryline at his mercy. It was a huge setback for the visitors as the Lions never allowed them back into the game in the ensuing minutes. Sopoaga closed out the first-half scoring with his second penalty which reduced the Lions’ lead to 11 points. When second-half play resumed Jantjies produced a moment of magic that threatened to take the game away from the visitors. First, he goaled a penalty and he then he pulled off a lightning break deep inside his own half before feeding Skosan whose blistering pace left several defenders floundering in his slipstream on the way to the tryline. Jantjies missed the conversion but the try opened up an impressive 19-point lead at 25-6. This time, the Highlanders waged a telling response as they punished some sloppy play by the Lions and centre Matt Faddes crashed over for his side’s first try, which went unconverted. The setback didn’t seem to deter the Lions and they ran continued to run hard at the opposition and after Jantjies landed another penalty he reeled out a deft crossfield kick which was gathered up by flanker Jaco Kriel who dotted down in the corner. Jantjies raised the flags with a splendid effort from the touchlines just ahead of the hour mark. Kriel had the crowd on the edge of their seats moments later when he pulled off a try-saving tackle at the corner flag. There was another desperate cover-defence attempt by the Lions at the opposite side of the field a few minutes later but this time, the Highlanders made their effort count after the TMO review decided that Sopoaga had crossed without evidence that he had gone into touch. 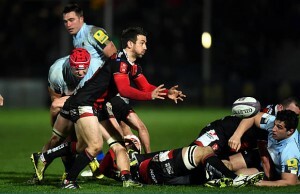 The conversion failed and the Lions’ lead was reduced to nineteen points after 66 minutes. As the match wound towards its finish attack continued to have the upper hand over defence. The Lions was next in with a converted try by substitute Lourens Erasmus and Naholo replied with a converted try and the scoreline advanced to 42-23 with four minutes playing time left. Highlanders substitute Joe Wheeler had the final say with a converted try on the full time siren. Replacements : 16. Greg Pleasants-Tate , 17. Aki Seiuli , 18. Ross Geldenhuys , 19. Joe Wheeler , 20. Liam Squire , 21. Dan Pryor , 22. Te Aihe Toma , 23. Marty Banks.